You are here: Home / Blog / Liquid Handling Solutions / Is the Gilson Neo Multichannel a True Standard? Is the Gilson Neo Multichannel a True Standard? Gilson brand pipettes are considered to be the industry standard of all things pipettes. Known for their durability and reliability, Gilson pipettes are certainly a classic. Gilson’s PIPETMAN Neo multichannel even made it into the top standard pipettes category in our 2016 Scientist’s Guide to Multichannel article. While the Neo pipette is considered to be a standard go to multichannel, even a quick glance at our article will show that there are multichannel’s with more inclusive designs. The Nichiryo Nichipet Ex II and the Labnet BioPette Plus have more desired features than the Gilson Neo multichannel. 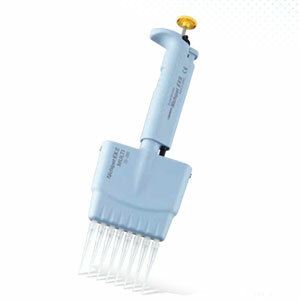 So why is the PIPETMAN Neo multichannel so popular? fort”. Unfortunately, although the Neo multichannel is partially autoclavable and has a simple tip ejection system, the pipette does not meet the caliber of the newer multichannel models on the market. Categorized as a Basic pipette in our article, Labnet’s BioPette Plus multichannel comes with several sought out features. These include chemical resistance and protection from thermal expansion, which ensures accuracy and precision with every use. 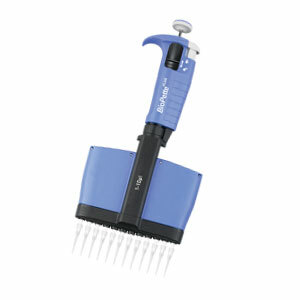 Unlike the PIPETMAN Neo, the BioPette Plus is fully autoclavable; therefore, allowing for simple and efficient decontamination techniques. Though the BioPette Plus Multichannel does not have the same known longevity as the PIPETMAN Neo, this multichannel comes with more features and is perfect for researchers looking to decrease their budget spending. The Nichiryo EX II, a premium multichannel pipette, was designed for high throughput labs with rigorous pipetting procedures. The 30% weight reduction comparison of this pipette allows for longer pipetting durations and reduced risk of wrist strain. To increase precision and accuracy, this model is built with a volume locking mechanism and is fully autoclavabe. Paying a little extra for a premium pipette, like the Nichiryo Ex II multichannel, guarantees a reliable pipette designed with your needs in mind. The Gilson PIPETMAN Neo multichannel pipette may always be considered the standard of pipettes, so make sure your pipette surpasses the standard. Would you like to experience the benefits of the BioPette Plus or Nichiryo EX II multichannel pipette? 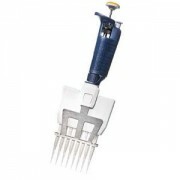 Research these pipettes yourself by calling Pipette.com for your own demo. https://solutions.pipette.com/wp-content/uploads/Multichannels-Pipetman-Neo.jpg 300 300 Victoria Hosford https://solutions.pipette.com/wp-content/uploads/pipettecom-logo.png Victoria Hosford2016-03-29 09:54:012016-04-05 14:32:44Is the Gilson Neo Multichannel a True Standard?